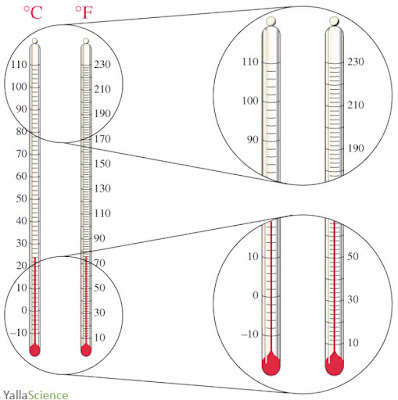 The thermometer on the left is marked in degrees Celsius and the one on the right in degrees Fahrenheit. 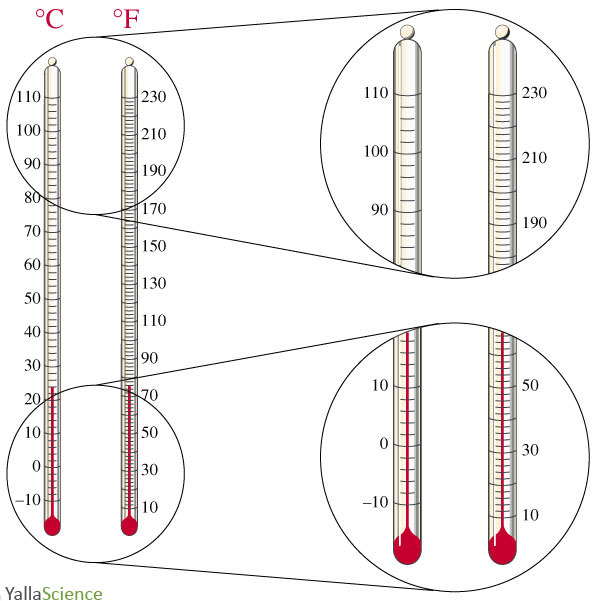 The freezing point of water is at 0 ¡C and 32 ¡F; the boiling point is at 100 ¡C and 212 ¡F. Note that for an interval of 10 ¡C, the corresponding interval on the Fahrenheit scale is 18 ¡F. This gives rise to the factor 18/10 = 1.8 in the equations that relate the two scales.